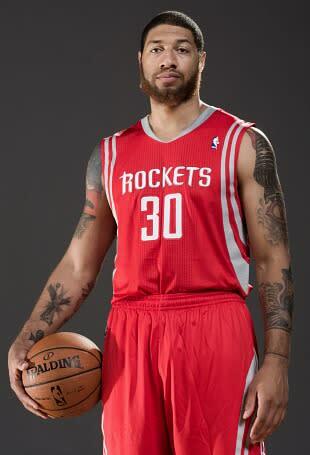 When Houston Rockets rookie forward Royce White missed the first few days of training camp due to well-publicized problems with anxiety, all involved parties acted in a mature manner with important perspective on the issues at hand. The vast majority of media understood that White was dealing with a serious malady and not just playing hooky, the Rockets communicated their willingness to adjust standard procedure for their new player, and White himself showed that he was doing his best to handle his anxiety, even going so far to secure a bus to drive him to and from specific games when convenient. It was an atypical situation fraught with potential disagreements, but it looked like the kind of challenge that White and the Rockets could overcome. That cautious optimism was warranted, largely because player and franchise both appeared to trust each other. In hindsight, perhaps it was not a good idea to be open and honest about my anxiety disorder, due to the current situations at hand that involve the nature of actions from the Houston Rockets. As a rookie, I want to settle into a team and make progress; but since preseason the Rockets have been inconsistent with their agreement to proactively create a healthy and successful relationship. At this point the Rockets are aware of my position and the reason for my absence. Any other response is inaccurate. This is important to me. It is a health issue. I must advocate for my rights. It is a player-commodity league. The failure to meet my requests for support will end with me being unhealthy and that is not a consequence that I am willing to accept to play any sport. Problem goes back WAY before D-League assignment. This about#Consideration and #Health it isn't about Rebounds & Money. My "anxiety" hasn't caused inconsistency in my participation with the team from training camp until 72hrs ago, ✈ to DET, ✈s Isn't the issue. I'm most definitely* not AWOL... There are many things here ppl don't know, #Honesty is what I'm sticking with. @HoustonRockets"Luke 12:3"
It's sad to think ppl ACTUALLY think [basketball] should be higher on my priority list then health..you can't enjoy success OR money without health. I'd waste my "Talent", to stand up for myself and what's right, regarding my health 10x's out 10. #Logical Player "Commodity" league. "your a COMMODITY" and "we'll support your health needs even if its inconvenient..." just don't go. My health can't afford such an ideal. While #anxiety is the issue, the main piece of that isn't AIRPLANES, it's asking for support 4 my disorder thats consistent and fair. Again My "Anxiety" is not well but not BAD, my main WORRY is being treated as a digit instead of a HUMAN, in the case of my health. I informed the #Rockets of every practice I was going to miss. There were no unexplained misses. The absences are unexcused, a person with knowledge of the situation said Tuesday. 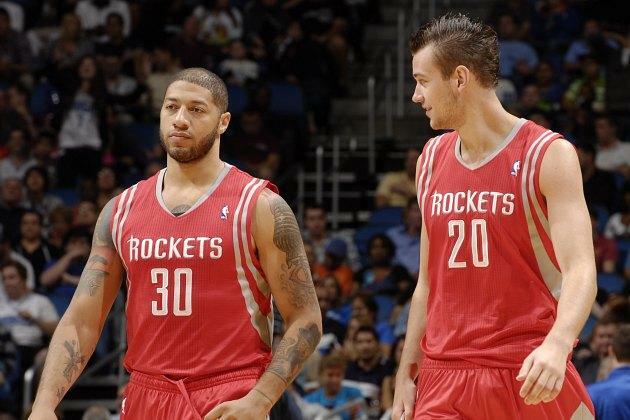 Rockets acting coach Kelvin Sampson said he did not know why White did not attend Tuesday's practice and did not speak with him Monday, when [Donatas] Motiejunas and [Scott] Machado were told of the plans to send them to the Rio Grande Valley Vipers. But Rockets owner Leslie Alexander said there have been "internal repercussions, which I'm not going to talk about." More foreboding, Alexander's confidence in White's long-term prospects seem shaken since he expressed enthusiasm for White's potential during the summer league in Las Vegas. "That's tenuous," Alexander said. "It's tough to talk about something like that. I think we're going to handle it internally. If he doesn't work out, well, it's tough to lose a draft choice." Asked how it would hurt the Rockets if a player taken with the 16th pick of the draft did not pan out, Alexander said: "I'd feel bad for Royce, and I would feel very bad for the team." This situation is extremely complicated, and it's hard to assign too much blame when both sides seem to be acting in what they see as their best interest. But the tenor of the argument, the state of communication between White and the team, and the road ahead are all worth talking about in greater detail. No matter what happens between him and the Rockets, White deserves large amounts of credit for opening up about his anxiety. Recognizing the challenge of his condition and telling prospective employers about it required great amounts of courage and personal strength. As I wrote when White first missed training camp, I have suffered from anxiety to varying degrees for 15 years, and the idea that someone could even try to deal with similar problems in such a demanding profession, under lots of scrutiny, remains genuinely inspiring. He knows the importance of his health and is focused on fixing it, while still trying to turn his immense basketball talents into a great career. Being honest with the Rockets, even if it meant putting them in unfamiliar territory, was a necessary part of that. Hearing that he might regret that decision in any way deeply saddens me. At the same time, the Rockets committed a valuable draft pick and millions of dollars to White, so they can't really afford to wait on him in perpetuity. If he makes a habit of missing games and practices — with permission or not — that puts the Rockets in a difficult situation. They've been willing to work with White because they believe in his abilities, but they also operate in a high-pressure league where young players are expected to improve at an accelerated rate. A top-tier professional basketball team can only work on good faith for so long. If White can't do his job regularly, then they may need to move in another direction. I don't know what kind of agreement White and the Rockets worked out before this season. But assuming that both statements are accurate — he claims to have notified them of his absences and the team still says they were unexcused — I can only gather that there's been massive miscommunication about how they would treat his anxiety episodes or a belief on White's part that the team should go beyond that agreement to ensure that he's comfortable. As White correctly says, anxiety is a health issue, and that takes precedence over his basketball career. On the other hand, unlike sprains and tears, it's not a health issue that necessarily improves with a fixed time period of rest and recovery. At some point, White is going to have to return to the Rockets and engage in more typical NBA activities, which at this point would certainly involve taking his D-League assignment with Rio Grande Valley. In truth, that situation may not be bad for him — he'll face an easier travel schedule, see less media coverage, and get the chance to play significant minutes. Playing time won't solve everything, but it could help him and the team focus on other topics. But no matter what he does, his unique arrangement with the Rockets is only going to work if both he and his employers trust each other. Ultimately, that's why his comments on Tuesday night — which, it should be said, don't look like the product of anxiety — were a very bad course of action for the future of his NBA career. The Rockets might have lost too much belief in White too soon, and it's very troubling to hear Leslie Alexander talk about the White pick potentially not working out after only a few months, almost as if he were resigned to that conclusion. Yet, while White's condition complicates matters significantly, he still owes the Rockets a certain amount of professionalism if he wants to be part of the team. If he has a problem with how the Rockets are handling him, then that conversation needs to happen in private, not in public. Otherwise, whatever trust they still have could break down and become incapable of repair. White has tweeted about the importance of being honest and open in helping him to manage his anxiety, and it would be wise to take him at his word. It's just that continuing this level of openness would make him difficult to employ for even the most open-minded NBA team. In an image-conscious league, no one wants their disagreements talked about in public. No matter how much each side has blundered or the degree to which White and the Rockets can salvage their relationship, this news is awful. Nevertheless, given the league's instant-gratification culture, a messy argument has always been a potential outcome. If White's primarily concerned with his health (as he should be) and the Rockets need certain things from their employees (as is logical in their industry), then he could face more pushback from the organization soon. Over time, White may even decide the NBA isn't for him, which would be a perfectly acceptable choice that didn't reflect poorly on his character. No one wants that to happen, of course, but it is a possible endpoint. The great shame here is that we've had to entertain the possibility far earlier than anyone thought possible.